I have never really thought about this before, but I think it does! Really good question! I don’t really look at my skin’s undertone ever except in foundation. 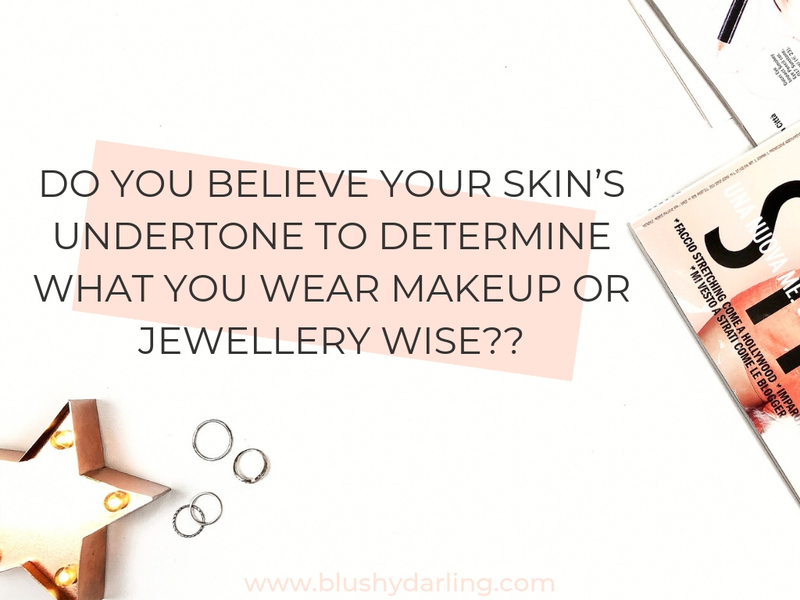 For jewellery, I usually do it by eye as in look at what looks good against my skin. Totally agree, I love rose gold too! I don’t think I’ve ever really thought about my undertone, but I do know I am always drawn to plum and rose colored hues. I have slightly olive skin and they always seem to work best! I have found that I actually look better in some colors that are typically for “cool” undertones. It definitely explains why I had a hard time finding good shades. I am a true neutral so anything that goes too far in either direction doesn’t work for me.